Psychic Soul Reading & Healing – $150.00 (90 minutes) I channel into my client’s unconscious and sabotaging habits, conditions and reflexes (pain-body) that block them from manifesting their own desires and then, use aromatherapy healing to stimulate olfactory nervous system, angelic tuners open the third eye and work with etheric chakras, use aura tuners to clear and balance chakras and repair any rips, holes and tears. Then, I will utilize tuning forks to release stagnant energy held within the body. 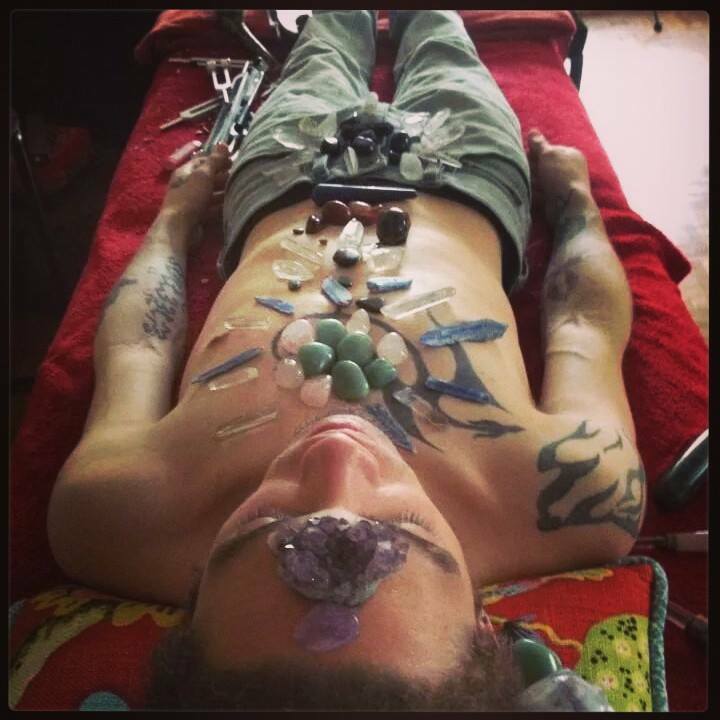 I will also utilize crystals to adjust energy imbalances in the chakras and hypnosis to clear and reprogram the unconscious mind. Psychic Soul Reading – $100.00 (60 minutes) I channel into my client’s unconscious and sabotaging habits, conditions and reflexes (pain-body) that block them from manifesting their own desires and advise the client, through a step-by-step system and life coaching to improve their spiritual, mental, and physical health. Spiritual Healing and Cleansing – $75.00 (45 minutes) Through my Spiritual Healing and Cleansing program, I will utilize tools such as: tuning forks, crystals, hypnosis, aromatherapy and aura tuners to modify and heal one’s body, mind, and spirit. Each tool is specifically designed to promote healing in multiple aspects of their spirituality and well-being. Psychic Mini-Reading – $30.00 (15 minutes) Using my psychic knowing, I will provide a reading based on the client’s wishes. The reading can be based on all aspects of the client’s reality such as: health, romance, finance and spirituality. Services offered in NYC, St. Augustine Florida and by phone, on line and skype Call 917-359-0588 or fill out an inquiry on this website. I am interested in spiritual cleansing and healing. What is your availability and do you have group discount s?